Osh is a modern city with an ancient past as a hub city on the historic Silk Road. It's located in the Fergana Valley of Kyrgyztan, and the Pamir Mountains rise around it. The Osh Bazaar has vendors , foods, and intrigue, while the hiking nearby in Kyrgyz-Ata National Park is incredibly beautiful. This historic city is often overlooked by travelers, but it holds an important part of Central Asia's history , and has incredible food too, so it's a wonderful place to rest for a few days and explore. 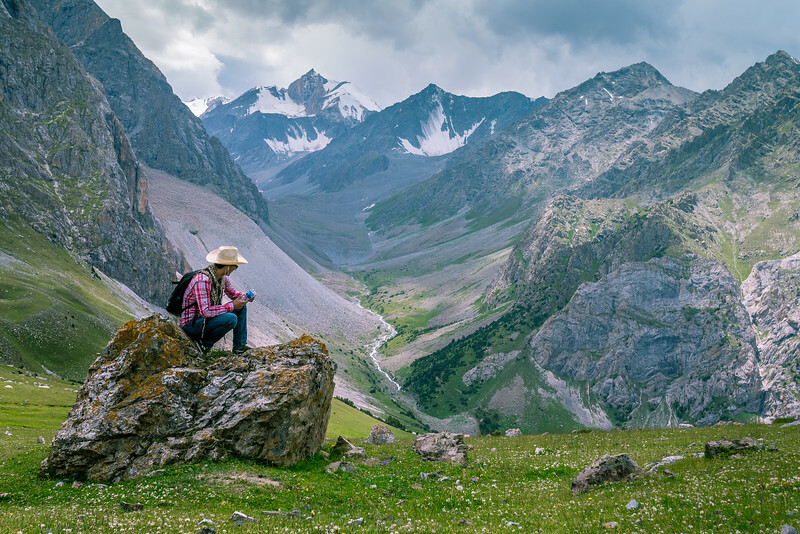 Hiking in Kyrgyz-Ata National Park in Osh, Kyrgyzstan.